Canada and canoes, they go hand-in-hand. Paddling in a canoe serves as refuge from our hectic day-to-day lives and as a means of reconnecting with nature, family and friends. Meander down a river, explore an alpine lake, listen to the serene ‘swoosh...swoosh’ of your paddle, gently carve a new path, then pause and take it all in. For beginners to master paddlers, canoeing in the Bow River in the Rockies is a scenic treat. Keep your eyes peeled for local wildlife - including the resident beaver locals call “Barry”. Why not peacefully paddle your way through our vast landscape? From coast to coast, Canada has plenty of lakes, rivers and inlets to explore. There are a ton of opportunities to hop in a canoe, whether you want to go out on your own or enjoy this activity as part of a guided tour. 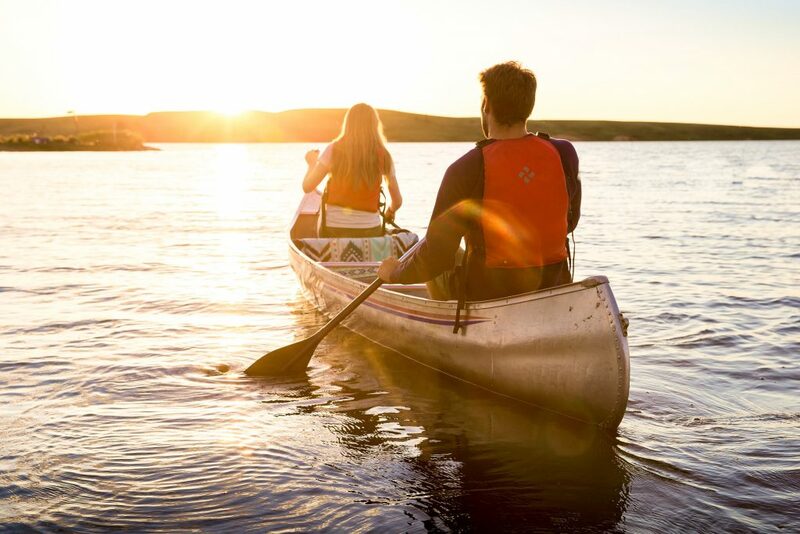 While visiting Nova Scotia’s Kejimkujik Park, a self-guided canoe or kayak rental can be included. Enjoy the serene calm of the lake waters as you paddle through the park. Can’t get enough canoeing? Map out a multi-day journey in the destination of your choice. It’s a great way to see Canada - the scenic views and the serene Canadian waters will make for a great shared experience and lasting memories.